Thane girl and YouTube sensation Prajakta Koli who runs a channel called Mostly Sane was in for a surprise recently when her friends, Sudeep Lahiri and Gurpreet Singh, arranged a meeting for her with her favourite Bollywood actor, Hrithik Roshan, at his Juhu residence on Wednesday. The rendezvous was the duo's birthday present for Prajakta who turned 23 this June and also to celebrate her meteoric rise on the digital platform. “Sudeep and Gurpreet told me that we had to meet someone for a meeting but I had no idea it'd be with Hrithik. We were waiting under his building when we were asked to go upstairs even as I wondered about the person living in such a plush locality with so much security. I couldn't believe when Hrithik answered the door and greeted me with, `Hi Prajakta, how have you been?' I was shocked to discover that he even remembered my name,“ an elated Prajakta informed Mirror. It was the 42-year-old actor who had inadvertently set the youngster, whose channel now attracts above five lakh views per video and has over one lakh subscribers, on the vlogging path back in 2014. Prajakta was interning with a radio station when Hrithik visited its studio to promote Siddharth Anand's Bang Bang.“Towards the end of his visit, I shot a funny video with him for my Instagram account.Sudeep of One Digital Entertainment who was present in the studio that day asked me to launch my own YouTube channel,“ Prajakta reminisces, adding that Hrithik had arranged for a chocolate cake for her before they proceeded to watch some of her recent videos. “I don't think I'll ever cut that cake“ she gushes. Is there another video with the actor in the works now? “He said he has seen my work and would love to collaborate on a video someday. I hope it happens soon,“ she beams, recounting how she was reduced to tears when it was time to leave the Roshan residence. It's 15 million for Hrithik Roshan on Twitter! Hrithik Roshan might be going through a rough phase in his career but that has had zilch effect on his super stardom. Considered the last Bollywood superstar, his power and audience reach is undoubtable. Now, there's another huge milestone he's crossed in his life. Hrithik has crossed the 15 million mark on Twitter which is brilliant. The actor who's extremely active on social media regularly updates his fans about his whereabouts. Whether it's pictures with his kids to photographs from the sets, Hrithik is a Twitter junkie. We bet celebrations are in place. Because after Amitabh Bachchan, Shah Rukh Khan, Deepika Padukone, Salman Khan and Aamir Khan, he's the only Bollywood actor to cross the 15 million mark. Apparently the director wants to cast Hrithik in a completely unexpected role. The actor is in talks with the filmmaker. Mumbai: Seems like Hrithik Roshan is moving out of his comfort zone, working with directors he has never worked with before. 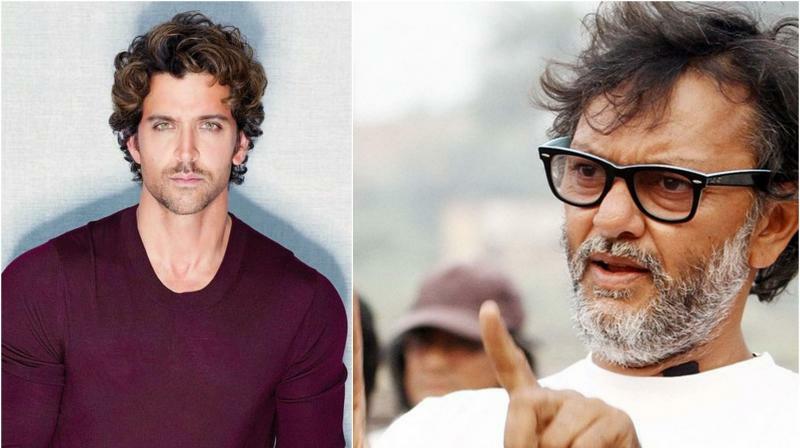 After Sanjay Gupta, who is directing Hrithik in 'Kaabil', it is the amazingly gifted Rakeysh Omprakash Mehra who is all set to collaborate with the superstar. Hrithik Roshan in Race 3? 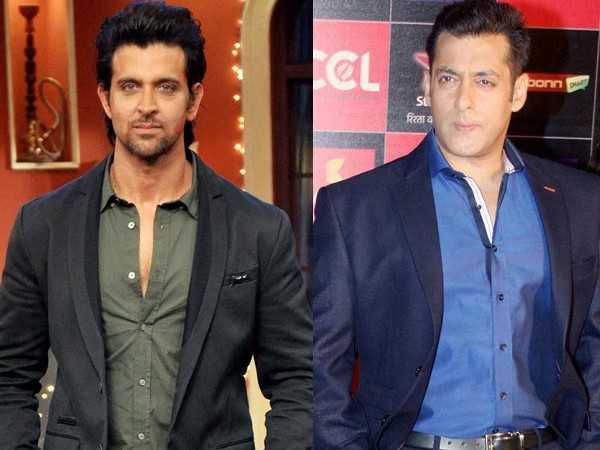 So the speculations as to who will play the lead in Race 3 are on. If you remember Salman Khan’s name had cropped up. According to a leading daily, now it seems Hrithik Roshan is up there too in contention to do the film. In fact, insiders insist that since there’s still time for Hrithik to start work on Krrish4, and he’s finished Kaabil, he has time on hand. So he just might do Race3. So what happens to Salman Khan? Know alls say that Salman is too busy at the moment to take up a new project. He has already signed up Tiger Zinda Hai. And there’s his home production Dabangg 3 in the pipeline too. So he just might have his hands full.